Sorry, no review of Pro Wrestling yet. 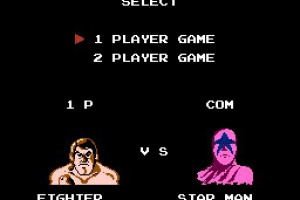 The player chooses a wrestler with unique skills and presses various combinations of buttons to use different wrestling moves. 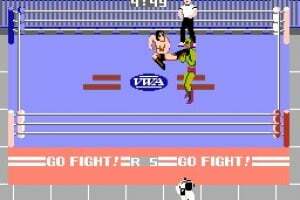 It is possible to leave the ring; however, a player who leaves the ring for more than 20 seconds forfeits the match. 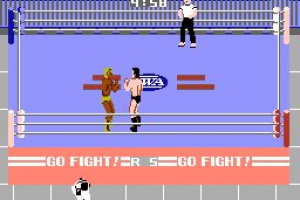 The game was one of the first wrestling games to feature an in-ring referee. The referee in the game is fairly accurate. For example, whenever a pinfall is attempted, the referee must run to where the two wrestlers are, lay on his stomach, and begin the three count. 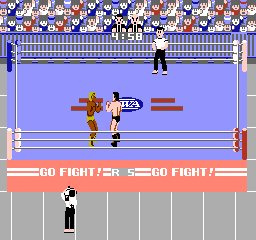 In effect, if the referee is on the other side of the ring when an opponent initiates a pin, the player will have additional time to try and escape. 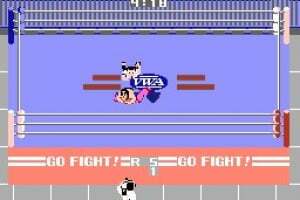 This game was the ultimate judge and jury for all childhood fights when I was growing up. No matter how right or wrong you were, all it took was a best of three series with this game to leave no doubt, no matter what the argument's origin, who the clear cut winner was. Sure it looked like something a caveman would have drawn if they discovered crayons first, and the sound was like Stephen Hawking drowning, but the simple, competitive gameplay made up for any shortcomings. Nothing beats picking "Amazon" and repeatedly munching your opponent's head. I hope the game comes with instructions for performing all the different moves. I'm sure I've forgotten them in the last 20 years. Of course, when I sit down with the controller they may miraculously come rushing back. I used to love this game so much... my brother and I would play it for hours. (in soviet russia)A WINNER IS YOU! This was one of the very first games I ever played, and one of my favorites. Is there a release date yet as when this is coming to wii vc? I agree with the review. Aged poorly. Only people who are nostalgic of this game or who are morbidly curious should get this (or possibly if you and a friend want to take out frustration on each other.) Yeah, amazon munching on your skullcap was freakin' hilarious. Also, it's funny to see Kin Korn Karn in action. My favorite move once I got it down is Hayabusa's "Back Brain Kick." BOOYA!!!!! Do you guys think M.U.S.C.L.E. might come to the vc? I've never played this before, so I can't rate it. However, it looks to me like WWF Wrestlemania Challenge might be better. For nostalia purposes, this is a must get! I can't wait for it to come out! I want this game bad!! I played it all the time. Does anybody know when it is coming out?? $5.00 what a deal. Great Puma here I come!! Oh man... Starman and the Amazon!!!! Gotta love those old special moves. That flip kick was great. And the head chomping and armpit-flap-noogie thing!!! Hahahaha!!! Move over WWE!! When is this coming out? I wanna see those victorious words "A Winner Is You!!" This is a must have when it hits the VC. I don't want this game. It reminds me of previous bad gaming memories of mine, such as when my N64 stopped reading cartridges and we had to sell it. I liked the one on master system better. I loved beating people with the chairs and the infinite combo's were funny! 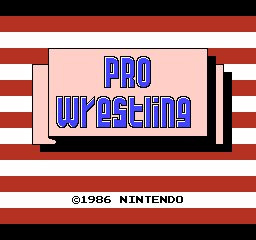 This is one of the best wrestling games of all time... its easy and simple to play and anyone can play it. not to mention its pretty comical. so shut your mouth you have no idea what your talking about. anyone that had an NES had or at least played this game it's a classic!! Lol, A WINNER IS YOU!!!!!! I'm excited for this game to be released. IT'S BEEN LIKE 3 MONTHS!!! I got tired of waiting for this one, so I found a copy on eBay for a buck. Sweet. >X0 NINTENDO, YOUR MAKING ME ANGRY!!!!! 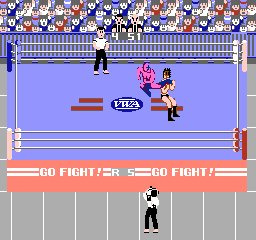 Im not sure,but i think this the only wrestling game i ever saw a cameraman in it lol! 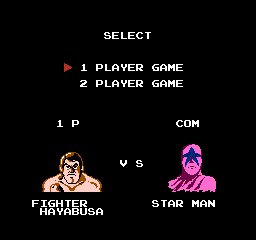 Fighter Hayabusa gets no respect. That's cause nobody uses his finishing move properly. To master the back brain kick is key to victory. A winner is you! 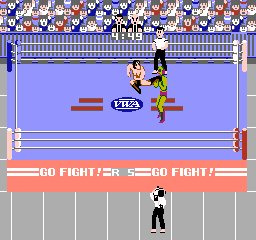 I wonder why Nintendo didn't just release this back whenever all the old NES games were released for the VC. This has a chance of coming this year. The origin of the Brothers Strong. Definitely one of the important classics that any true 80's gamer will remember fondly. 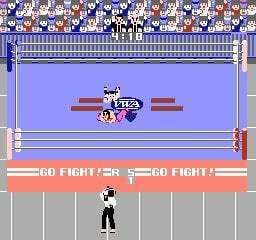 whats the deal, i got my wii for x-mas, and have been viewing all of the old school games since then and i have not seen any wrestling games. 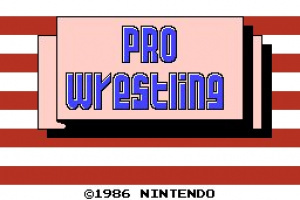 Is nintendo against wrestling? And this game is the bomb! Ive been looking for old school, snes i think, wwf royal rumble. Now that was fun. Nintendo where is this stuff at? What the hell is taking so long for this to be released? Are we sure it's even coming? Being a fan of Ric Flair, I always used King Slender (i think that was his name) lol Most of the wrestlers were a blast to play. Loved Amazon and Starman too. I hope this is released on either the Wii or DSi. Better yet, Release it for all of em And the 3DS!